Protect Your WordPress Website Investment! How Often Should My WordPress Website Be Maintained? WordPress websites should be maintained weekly. Website usage has no connection with maintenance and security requirements. Fair enough. Unfortunately hackers are attempting to access your website 24/7. The frequency of your website additions does not change this fact. WordPress runs on a MySQL database. It is access to the MySQL database that is of value to hackers. Access to the MySQL database. With a MySQL database – hackers can make $100,000’s per month. Not a typo. With proper security and maintenance on your WordPress website – hackers can be stopped. #1 Way WordPress websites get hacked: The website owner does not update, upgrade and maintain the website.
. Your WordPress website is a cutting edge tech, finely-tuned, Search Marketing powerhouse.
. A MySQL database is the heart of the website, enabling the many marketing & user-friendly features of WordPress sites.
. In 2018, website hackers are aggressively targeting all websites for hacking, large and small.
. WordPress sites with their MySQL database are extremely attractive to hackers. In 2016, we cleaned a hacked WordPress business website that had over 10,000 pages inserted into the website via the MySQL database.The links inserted were not visible from the front of the website. The website owner had no idea the links were there – until Google banned the website from Search. What were the page links added to the website? The pages were selling things to users around the world – all of which were illegal. We will not go into descriptions here – but we will say that this is not the kind of NSFW activity anyone would want on their business website. » With no regular website maintenance and upkeep of security – your website is a hacking magnet. With proper security and maintenance of your WordPress website – hackers can be stopped. Hacking Effects Noticed by Website Owners? With the MySQL database in WordPress, it is possible for a skilled hacker to insert pages in the website that do not appear in the WordPress dashboard. These pages will not be seen or discovered by the website owner. Until – the website owner gets a notice from Google that their website is banned from Google Search because of malware and illegal activities. Note: Only website owners who have registered their site with Google Webmaster Tools will receive notices from Google. At DFW Business Websites, each website we develop is registered with Google Webmaster Tools. Can your business afford to be ‘not found’ in Google Search for six months or more? If your website is hacked and banned from Google Search, recovery is possible. But it can take months for your website to regain its former position in Google Search. In most cases, additional Search Engine Optimization work will be needed to expedite the process of re-gaining Search Ranking. (Contact Us if you need help!) Most businesses cannot afford to be out of Google Search for one month – never mind six months or more. Most website owners start out with a firm resolution to take great care of their WordPress website; keeping the site maintained and updated. But then, business and life happens. Business owners are not website developers – they own a business having nothing to do with websites. Website owners get busy and before you know it – months have passed and the website is not updated. At the first missed critical security update – a WordPress website is vulnerable to hacking. 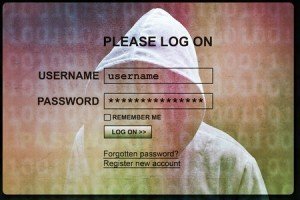 The WordPress website elements most vulnerable to hacking? Plugins. Why? Because WordPress plugins have the most frequent updates – and website owners do not update regularly. Is WordPress Security and Maintenance a standardized service package? Do all companies offer the same services as a part of maintenance? No, there is no standard package of WordPress Security and Maintenance offered by all companies. These are services DFW Business Websites provide – because we know what it takes to keep WordPress websites secure. What is included in WordPress Security and Maintenance by DFW Business Websites? All of the activities below. • Daily: 24/7 Security Monitoring – Security actions are implemented when alerts are received from our WordPress security monitoring. • Weekly: Install WordPress websites have critical security and regular upgrades, install plugin software updates and upgrades, as available. • Each month, WordPress has 15+ plugin updates to software coding; including security issues. • Each year, WordPress core code has 4-5 Critical Security Updates and Software Upgrades. • New software will be added to your site, when available, at the discretion of DFW Business Websites. For example: A new, different and expanded version of social media buttons, etc. • Correct Plugin Site Performance Issues: Sometimes a plugin software upgrade or update can negatively impact site performance. • Correct Core Site Performance Issues:Sometimes a WordPress software upgrade or update can negatively impact site performance. These issues are corrected as a part of the WordPress Website Maintenance Program. • Website back-up and backup archive after each site maintenance. • Site Restore, if needed. Note: While we take every precaution and implement WordPress Security Best Practices to ensure your site is safe, we cannot guarantee that any site is hack-proof. With our security protocols in place, your site is as safe as is possible with current technology. If hacked, we will restore your site at no charge. Regular Cost for restoring hacked sites without WordPress Maintenance coverage: $1000+.